New Year's resolutions. Do you make those? Do you find yourself reviewing your year and thinking: "That could have been better. I shouldn't have done that." Or, "Why didn't I -" The things that we "failed" at seem to far outweigh the benefits of the year. Stop. Breathe. Just - breathe. Okay. Life isn't an exam. We're not going to get a scorecard on how much weight we lost (or gained). We are not going to be scored on whether we got a promotion at work or a new job. We won't be graded on the beauty of our homes or the type of car that we're driving. The judge of the world - our Creator - is only concerned about the state of our hearts and our relationship with Him. Each year, each day, each moment - should be about strengthening our connection with God. So let's try this again. The end of the year is fast approaching ... Praise Jesus I'm alive! My bank account may not be where I want it to be, but praise God for supplying all my needs. I was sick this year, but thank God I still have the opportunity to give Him praise. We've made it to the end of the year. Yeah! God has a plan for our lives and He still wants to use us. This year I'm resolving to not make any resolutions. Except one. This coming year will be another opportunity to forge a connection with Christ. I want to get to the abiding state (John 15:6-7). The state where I can say, "I and the Father are one." God gives us this opportunity every moment that we're alive. So this year end, I'm decluttering my new year's resolution list and just choosing one word. By choosing just one word, I greatly increase my chance of actually keeping my resolution for the entire year and not just the month of January. Because my focus will be on God and not on myself, I'm going to spend a lot of time in His word and also with Him in prayer. This is what's going to retain my resolve: God will give me the ability and the strength to keep holding on to Him in order to improve our relationship. Is it going to be easy? No! The enemy is going show up - as he always does - when we decide to commit to God. But when we have been tested through the fiery trials of a year, we'll come through sweeter on the other side. My one word is faith. What's yours? Tell us in the comments below. 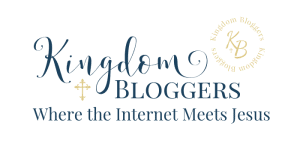 Linking up at Janis' #WordofGodSpeak, Faith's #MommyMoments and Naomi's #MondayMusings.